India Pale Ale was originally a “beer”, that is, a highly-hopped malt beverage, versus the lesser-hopped “ale” which evolved from a fermented barley drink which used no hops at all. 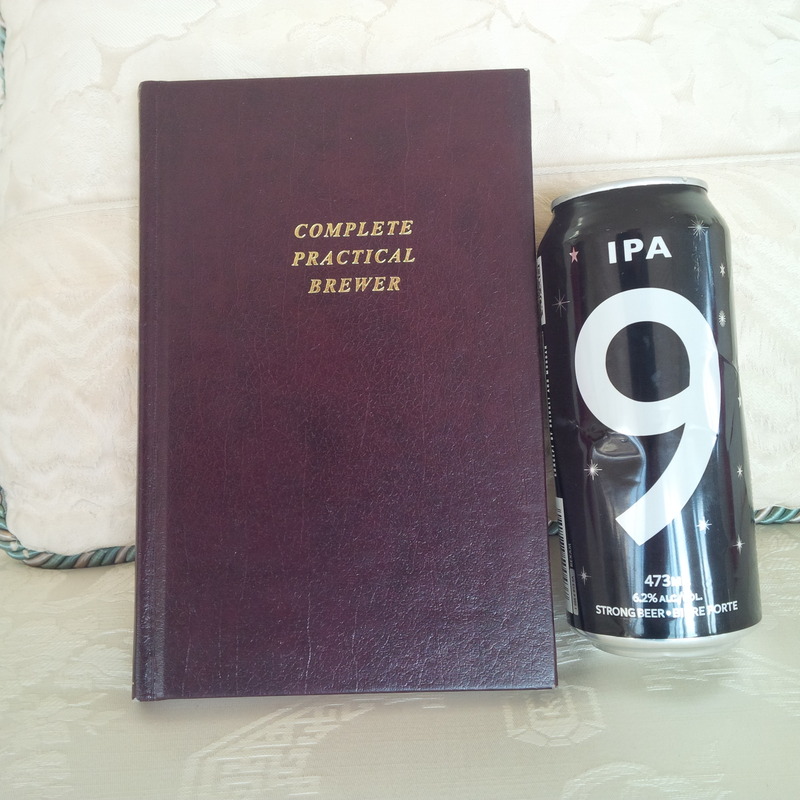 The stocking of IPA, as it was called, was a key part of its processing. It was brewed in certain seasons, stored in casks for many months, then bottled and sold or exported. The exportation would mature it further, making the drink drier, possibly less bitter – hops wear off with time – and liable also to infection by brettanomyces, a wild yeast often resident in cask timbers or the ambient atmosphere. This aspect lent additional flavours which old books call “ethereal”, “pungent”, “apple”. With time, this stocking became dispensed with so that while retaining its relatively dry and bitter aspect, IPA lacked certain characteristics associated with prolonged aging. I have experimented at home with aging different IPAs for different periods, sometimes in the fridge, sometimes at room temperature. I find that only those which have a noticeable yeast sediment can stand the process – anything well-filtered generally goes off within a couple of months or so unless pasteurized (I try to avoid buying this type, though). But yeast-sedimented IPA, whether in cans or bottle, can last a long time. The yeast slowly works on the residual malt sugars and “scavenges” as it’s called the oxygen in the container, oxygen which absent the yeast presence would spoil the beer. Recently I tried the Toronto-based Duggan Brewery’s IPA 9, stored in the fridge about six months. While I don’t know what maturation, presumably in tank, it got before canning, I’d guess relatively little. When I bought the pack originally, the beers were very fresh-tasting and full of malt and hop flavours, a big taste indeed yet not what I’d call refined or integrated. Six months cold storage has matured the beer remarkably. The estery elements speak out more, the American hops are less aromatic (while still present) but show a firm bitterness, and withal the beer is much better knitted than when I bought it. It struck me as a cross between Ruddles County Ale from the 80’s, Fuller ESB from the same time, and Sierra Nevada Pale Ale. There was the faintest edge of acid, nothing the normal person would notice. 🙂 It is something which perhaps would grow if the beer was stored another 6 months. This is the last can from the pack, so I won’t have the chance to try the comparison without starting again. I didn’t, also, keep one for the same period at room temperature. It would have been interesting to compare the two. This kind of lengthy conditioning unquestionably benefits the beer. The old hands of IPA in British India and Victorian England knew this. While the trip to India in varying conditions of heat and humidity may have oxidized the beer – this isn’t clear since oxidation can be retarded by action of brett I understand – it probably lent the barnyard taste associated with Orval and other beers which receive a brett infusion. This is not a plus, IMO, except for those habituated. The best course seems to be to mature the beer on the lees of its yeast for months in a well-sealed container. More than less cold will never damage the beer, setting aside anything close to freezing, but warm maturation possibly can lead to even better flavours than cold aging, possibly over a different period. I should add I decanted the beer carefully to pour it almost crystal-clear, which assisted its evolved palate, IMO. This left an ounce or so of turbid stuff which I threw down the drain. I got the No. 9 at its sweet spot, IMO. Very informative post. I hadn’t given much thought to the notion of aging some of these beers at home, and will do so soon. Many contemporary IPAs to me have a harshness that borders on the extreme, particularly with some of the newer hop varieties. Six months in the fridge might not mimic a Liverpool-Bombay voyage in an oak cask, but is surely closer to the “authenticity” so prized by hipster fans. Perhaps brewers should adopt the wine custom of portraying a vertical, angled or horizontal bottle on the label. Thanks, Doug. The mantra of the IPA-heads is drink it as fresh as can be. This is ironic in light of the “original” IPA… It does though take inspiration from later pale ale/IPA, beer not stored for months on end but a few weeks at most. In truth though, the storage does – to my taste – improve American IPA by removing a lot of the harshness American hop varieties can impart (vs. English, a different story – those light bitters were designed with English hops in mind!). There is an analogy to porter here, inferior hops were felt acceptable, which 19th century brewers took to include American hops, because the long sojourn with the beer eased off their most objectionable qualities. One issue that probably deters many from aging IPA is the quick onset of damp paper oxidation or even sourness. This won’t happen, though, with a properly bottled or canned, naturally-conditioning IPA. If the beer is kept free from absorbed oxygen, a little in the container (or tank) wouldn’t hurt the beer provided there is enough residual yeast. Not just a small haze of it, but enough to continue to condition the beer. This clearly happened with the two IPAs I mentioned, Duggan’s and the Quebec one.By the way a particular creamy quality emerged in both as well, something I’ve read about – if I can only find it – about naturally-conditioned bottled beer. (There can be a lot of absorbed CO2, but the foam assumes a thick, cream-like quality). As for Orval, I agree with you about innoculation. I don’t think any craft beer should be treated that way although I believe a lot of sours are. Better for nature to take its course. For Orval, it’s probably a shortcut to the maturity it desires. I find the taste too strong in the beer. Does aging help? Maybe, I’ve never had an old one (say, 2-5 years old). By the way I feel the Quebec IPA, it was L’Interdite IPA, did replicate essentially the passage to Bombay. Not the other one as much, but they all get to the same end I think, it’s just that chill in conditioning delays the changes all these beers will submit to with time. I added Brett to some bottles of IPA we’d made and when I came to taste them a year later I was surprised how they tasted fresher than the bottles without Brett, which I can only put down to the oxygen scavenging. I think all yeast “absorb” oxygen but brett seems to have a special quality of foreclosing damp paper oxidation, e.g. in lambic. I just had a few ounces of a Quebec IPA bottled (per the label) 6 months ago. It was kept warm throughout, sometimes in quite hot conditions (Toronto summer). It is very good, quite similar to the Duggan 9. There is perhaps the faintest start of oxidation, well-hidden by the hops, that cocoa-like taste. But it’s remarkably good! As Brett can ferment dextrins it should do the job for longer than normal brewers yeast as it will stay active for longer.